I have a policy. I may retcon my posts over and over, but if another member of the TVCU Crew posts something, it's canon, and I won't mess with it. They must, though, not truly be the same, but slightly divergent timelines. 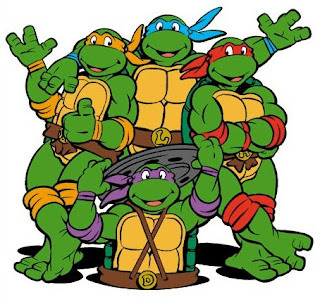 This wonderful post by James Bojaciuk, so wonderful it's our # 5 all-time most viewed post, establishes the 1980s animated Teenage Mutant Ninja Turtles as being the TVCU version of the Turtles, while all other versions exist in the Television Crossover Multiverse. Meanwhile, because the Horror Crossover Encyclopedia uses a different start point and different methodology for connecting, in the Horror Universe, the Turtles of the IDW series that connects to Conspiracy are the version for that timeline, while all other versions of the Turtles exists within the larger Horror Multiverse. Thus, the Horror Multiverse and Television Crossover Multiverse must be one and the same, while the TVCU and Horror Universe are alternate realities within that multiverse. Very similar in most ways, but allowing for differences when necessary, such as in the case of the Turtles. For the record, though I haven't gotten to the Turtles of the Cartoon Multiverse yet, it's likely that will add another dynamic to the TVCM concept, but again, that will not interfere internally with this post. Deticated to Tyler, without whom I never would have discovered Turtles Forever or found the interest to write this blog. Thanks for the adventures, my friend. Next time you’re in New York stuffing your face in a dive pizzeria, look around. If you’re lucky, you might spot four men in trenchcoats eating their way through a stack of dough, meat, and cheese higher than your head. The owner will be in unusually good spirits over the influx of money; the waiter will be in unusually good spirits over the lovely redhead sitting with the men in trenchcoats; the redhead’s husband will be dying to bash in the waiter’s head with a baseball bat. And you, dear reader, will be watching six living legends who have saved the world (and all the pizzerias therein) more times than they can count on their fingers. Yeah, I’m talking about the Teenage Mutant Ninja Turtles. I’m sorry. 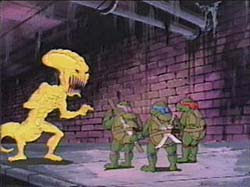 The recent animated film Turtles Forever established that all of the different TMNT universes are separate universes. 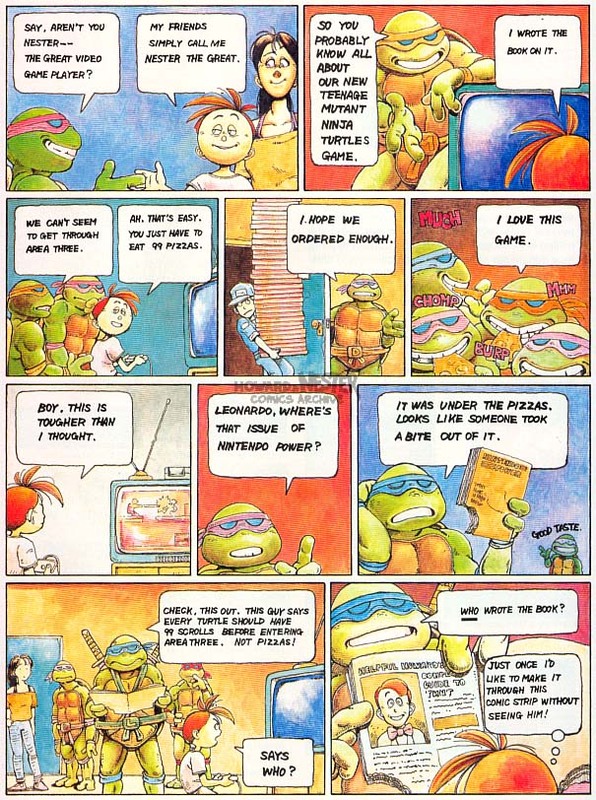 Because of that, most of the entries on the list involve the 1987 cartoon Turtles, because most of their crossovers directly link them to the TVCU. There are five exceptions. 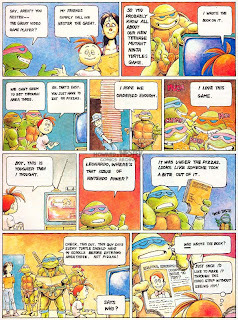 All of the Mirage Turtle comics that I include here featured crossovers I could not pass up, or had so many crossovers in them that I had to conclude it was in fact a story of the TVCU Turtles. The other major exception are the two episodes of Power Rangers in Space where the live-action television Turtles met the Power Rangers. 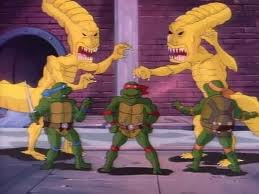 That Turtles series is a jerk, as it follows up on plot points from both the 1987 cartoon and the movie series, all without making overmuch sense as to how it could possibly be a continuation of two very different sagas. 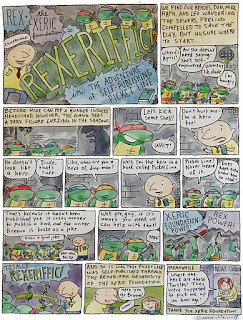 Thus I include the crossover, but reject the rest of the series—especially the lady turtle. Enough methodology! Let’s get to the fun stuff! 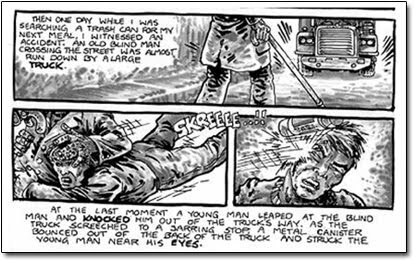 During a traffic accident, young Matt Murdock is struck in the face by a radioactive canister. Of course, he was gifted with radar sight and would go on to become the hero Daredevil. 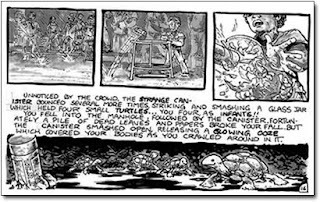 As far as Marvel Comics is concerned, that single event was the end of the radioactive canister; but in reality, it fell through a grate and shattered, the ooze spilling over four baby turtles abandoned there by a previous owner. The history if Daredevil is not a clear-cut as in the Marvel Universe. 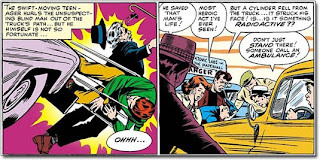 After reading about Matt Murdock’s accident in the newspaper, Stan Lee, ever the show-man, decided to base his newest hero on the child’s accident for publicity; he would allow young Murdock “assist” Jack Kirby in designing his costume, and the character would be named after him. The sales plan was a success; to further the success, Marvel Comics granted young Murdock a small scholarship to pay his way into college. Decades later, a man in a Daredevil costume would strike criminals down in the dead of night. No one suspected that this Daredevil was actually the blind lawyer the character had been based on many years before. 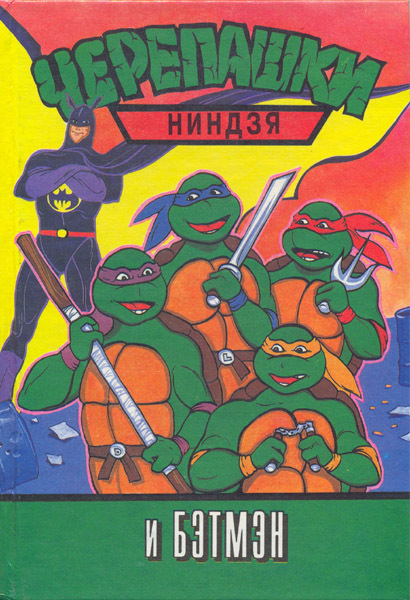 The four young Turtles were collected by a rat that was once a man, and taken to another time and another place. Apparently if the player controlled character wonders down into the sewers of Dalaran, one may see a large level 80 rat teaching four level 1 turtles. Obviously, this is Master Splinter is teaching the young Leonardo, Raphael, Donatello, and Michelangelo in the way of the Ninja. 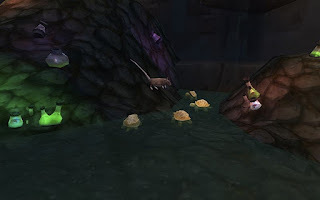 At present it is unknown how the Turtles and their Master arrived in this world; but whatever the means, it seems Splinter selected this place as a safe haven from the dangers of the TVCU sewers. 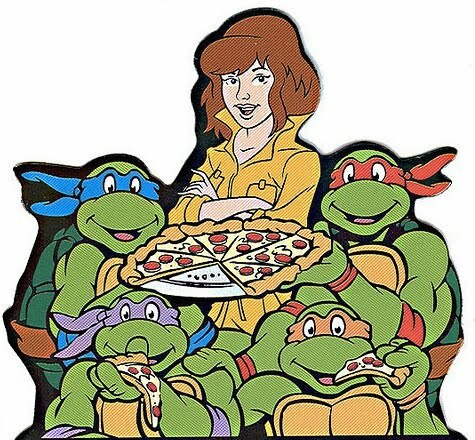 1986—Somewhere in this time period the Turtles come back to the TVCU meet April O’Neil, and set up shop in their war against Shredder and the Foot Clan. The TMNT, Wordsmith, Reacto Man, and Silent Invasion stories all fit into the TVCU perfectly (in fact, the Wordsmith story does not involve the Wordsmith at all, and is instead a straight-up crossover between The Shadow and the Phantom Detective). 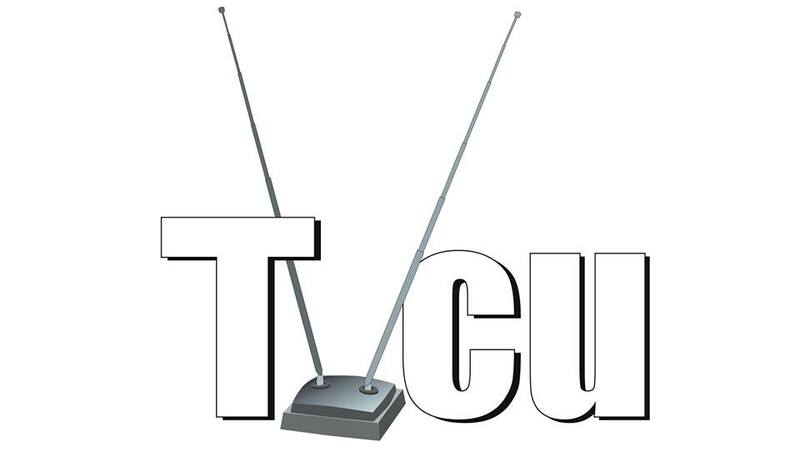 The other stories take place in parallel dimensions to the TVCU, yet still involve the real artifacts. The two movers are of special note, as one is extremely thin, one is extremely fat, and neither are extremely bright. These two bumblers show every sign of being the Immortal Bumblers doing what they do best. 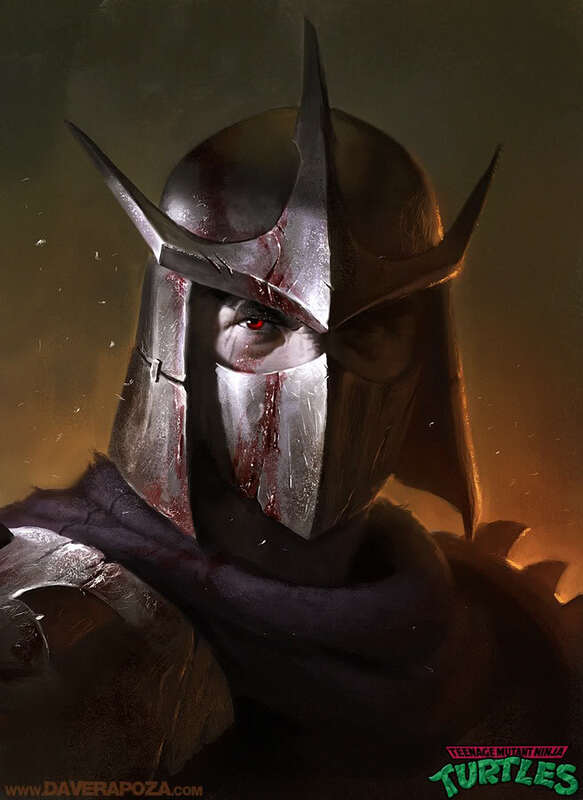 In this four part storyline the Turtles and Shredder battle over fragments of the Eye of Sarnoth, an ancient crystal of unimaginable power; Shredder wishes to use the fragments to open a portal into Dimension X. At the end of this story, the shards fall into other hands, leaving both the Foot Clan and the Turtles without any net gain to all of this foot work. In H.P. Lovecraft’s “The Doom that Came to Sarnath”—which is one letter away from the crystal named here—the men of Sarnath stole an idol dedicated to the Great Old Ones. This brought great destruction upon all of them. It seems highly probable that the Eye of Sarnoth is a crystal eye plucked from the Idol of Sarnath. Shredder places eggs from a weird alien creature in pizza meatballs (who eats meatballs on a pizza?). These “meatballs” hatch inside the eaters, exploding from their chests. These creatures are, of course, xenomorphs from the Aliens film series. 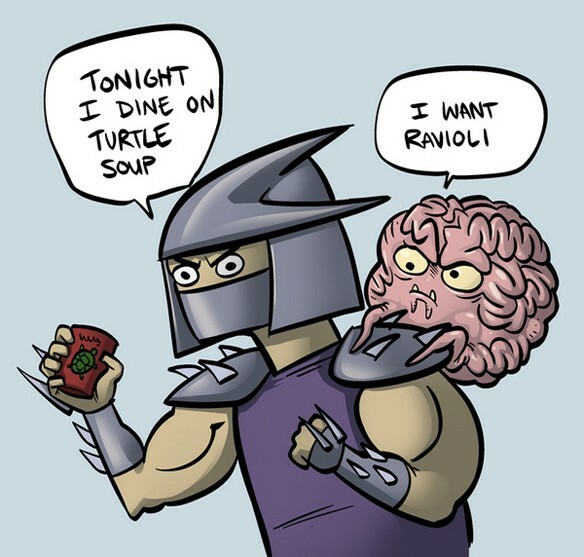 The Turtles take the xenomorphs down—saving the city from Shredder’s bizarre plan. Gangsters are pouring over the city in an effort to find the Maltese Hamster, a fabulous statuette made during the crusades. Donatello and April play detective, tracking the statue down and keeping it from the hands of both the mob and Shredder. 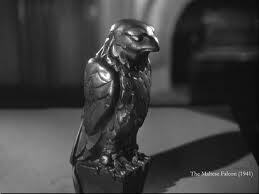 We may assume that the Maltese Hamster was actually a cover-name for the Maltese Falcon—and that the name of the statuette was changed to protect the producers of Teenage Mutant Ninja Turtles from legal action by the Samuel Spade Foundation. Raphael, annoyed by Christmas cheer, runs off into the night to be alone and cranky; like so many annoyed people on Christmas day, his plans to be alone and cranky are utterly ruined by three ghosts trying to show him the error of his ways. I hardly need to make note that over the course of the story Ralph endures reruns of his childhood, sees his family good-naturedly making fun of him when he’s not around, and sees an insane older version of himself hiding in a swamp. Okay, Scrooge didn’t see that last one. 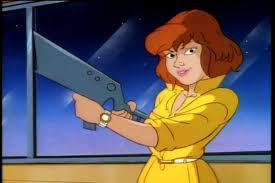 After getting off at the very wrong bus stop, Nester is rescued from a assured mugging by April O’Neil. She takes him back to her apartment, where he fails to help the Teenage Mutant Ninja Turtles beat their own video game. 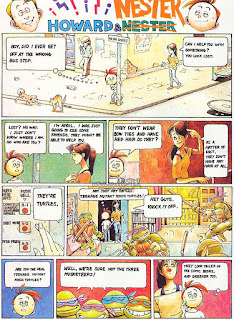 Nester shared the comic strip Howard and Nester with his adult friend Howard Philips, who was a ultra-genius employee of the Nintendo Corporation. Nester, of course, hated him. 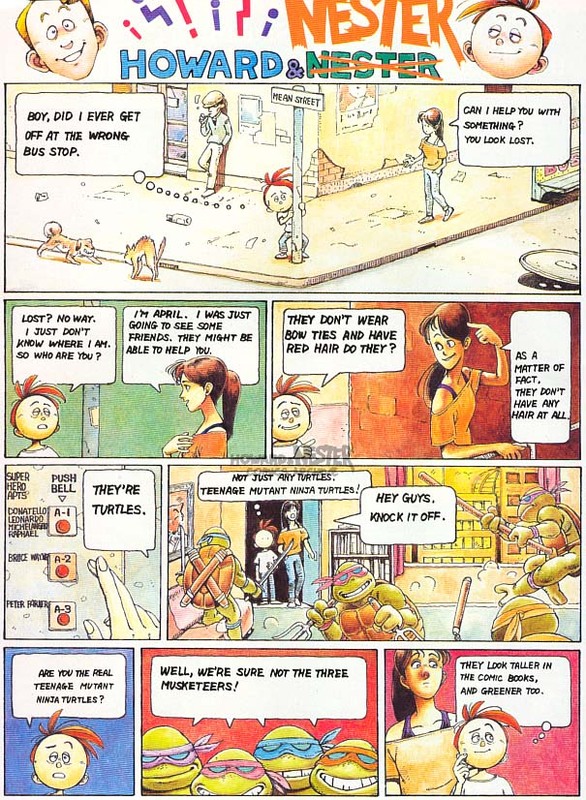 Few of their adventures have any kind of crossover; fewer even mention the game in any kind of metafictional commentary (such as in this strip). The other crossovers found in Howard and Nester send our heroes up against Maniac Mansion (which is already in through a self-contained Indiana Jones crossover), Golgo 13, and, possibly, the Legend of Zelda (Nester finds a history of Link’s life and adventures in the library). 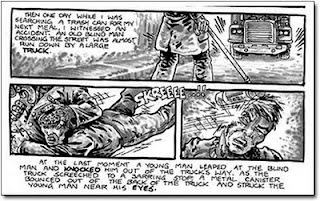 Images courtesy of the Howard and Nester Comics Archive. The Teenage Mutant Ninja Turtles team-up with the Power Rangers and go to Outer Space. It needs to be pointed out that the Power Rangers of the TVCU are not exactly the Power Rangers seen on television. In the TVCU, as established by Atomic Robo and the Revenge of the Vampire Dimension #2 and Gen 13 #57-59, the Power Rangers are a group of anti-Kaiju (giant monster) warriors working for the Japanese government. Oddly enough, most of them are teenagers. During the events of the story, the Turtles and the Power Rangers travel to space and fight Space-Kaiju. It must be noted that the presence of a female turtle is entirely, entirely, fictional. This one is only slightly more insane than Archie Meets the Punisher. Here, the Ninja Turtles are brought back to earth from a meeting with aliens to score some pizza—of course they land in Riverdale. And this being an Archie crossover, Josie and the Pussycats are stopping there on their tour. Shortly after the turtles arrive in town, Veronica is kidnapped by kidnappers (who else? ), and Archie, Betty, Jughead, and the Turtles team up to save her! NOTE: I place these two stories together because the Power Rangers in Space episodes send the TMNT to outer space, where the Archie comic begins with the Turtles being unceremoniously dropped, by aliens, on the outskirts of Riverdale. The tales fit together like a jigsaw puzzle. 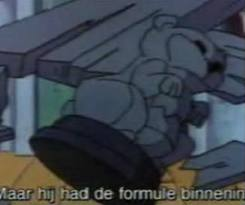 Splinter is kidnaped and replaced by a robotic transforming alien. The robot self-identifies as a “Pretendicon.” A version of the Transformers do exist in the TVCU, so it seems likely that this “Pretendicon” was a Decepticon. What a Decepticon would have to gain from impersonating Splinter is yet to be determined. The famous samurai of the looniverse, Usagi Yojimbo, is lost on the TVCU earth. Eventually he finds he way back home. Usagi Yojimbo is the long running comic creation of Stan Sakai. 1989--"Case of the Hot Kimono"
Someone is stealing all the kimonos in the city. After Master Splinter's favorite kimono is stolen, April's famous detective aunt, Agatha Marbles, helps the Turtles retrieve it. Agatha Marbles is obviously Agatha Christie’s elderly sleuth Miss Marple. We have two bits of evidence strengthening the connection between Marbles and Marple: in the already-TVCU murder mystery parody Murder by Death, Miss Marple is called Miss Marbles; in the Bill and Ted’s Excellent Adventures episode “The Apple Doesn't Fall Far from the Phone Booth” Bill and Ted briefly consider consulting a detective their Circuts of Time Phone Book calls Miss Marbles, who is obviously Miss Marple. It seems that Miss Marple lived (lives?) an ungodly long time. And so, after a time when it became clear she was not going to die, Jane Marple faked her death and took up the absurd name Agatha Marbles. While training, the Turtles are kidnapped across dimensions and taken to the Hall of Lost Legends. There, they do battle with Loki, who had imprisoned all of the other legends, and his honor guard of mythological creatures: Fideal, Cerberus, Grendel and Mantichora. Grendel is from the Anglo-Saxon poem Beowulf, and thus strengthens the connection between Beowulf and the TVCU. It is possible that this place filled with gods either forgotten or no longer worshiped is the same hall of dead gods visited by Shadow in Neil Gaiman’s American Gods. Donatello’s invention that allows people to access their dreams is hijacked by Freddy Kruger, who tries to kill the slumbering Michelangelo and Leonardo. For a full timeline of the life of Freddy Kruger, minus this newly discovered tidbit, see Robert’s excellent and comprehensive Freddy Kruger timeline. Agatha Marbles (Miss Marple) returns to help the Turtles stop a madman from building a doomsday device. 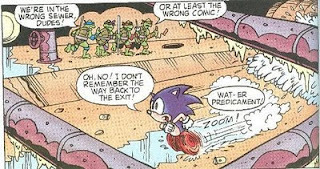 Whilst running through a sewer, Sonic passes the Teenage Mutant Ninja Turtles. As Robert previously included Sonic because of a Green Hornet crossover, I feel justified for including this little reference. Batman III works with the Turtles to fight the Foot Clan, presumably. 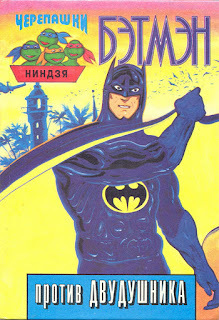 I know nothing about this Russian comic other than the fact that this is a team-up between Batman and TNMT. Batman III once more teams up with the TMNT. Yes, you read that right; this story begins in 2008 and moves backward chronologically until it intersects the Crisis on Infinite Earths. There are three entirely separate groups of Turtles present in this movie, so for the sake of clarity we shall refer to them as the TVCU Turtles, the Reboot Turtles, and the Prime Turtles (though as far as the omniverse cosmology goes, that term is doubtful). Somehow, the TVCU Turtles along with their Shredder and Krang the Brain have ended up in the darker and grittier Reboot Turtles universe—where all of the citizens have no clue what to make of their lighter-hearted pizza-loving alternates. As events unfold, the TVCU Shredder awakens a frozen “squid thing” that happens to be his counterpart in the Reboot Universe. 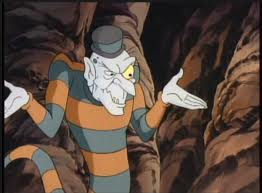 The “squid thing” is Ch'rell, an immortal from an alien race; Ch’rell then has the inspiration to destroy all of the universes so that he can finally find rest. He begins eliminating all of the universes containing Ninja Turtles, until only one remains (however, oddly enough, no damage is ever seen to be done to the homeworld of the TVCU Turtles). All of the destroyed universes are overtaken by red skies, before finally being destroyed by an unstoppable wall of anti-matter. All the assembled Turtles stop Ch’rell’s plot, and the universes return to their proper places. It seems highly likely that Turtles Forever is an alternate look at the events of The Crisis on Infinite Earths, showing another side of the plan to destroy all universes. As will be demonstrated in a future blog, Yog Sothoth was the being ultimately behind the Crisis plan. From Ch’rell’s actions in this movie, so far out of line from his normal operations, it seems that he was possessed by Yog Sothoth at some point shortly after his revival by the TVCU Shredder. NOTE: Some TMNT scholars believe this film takes place between seasons three and four of the 1987 cartoon series, which would place this films events (for the TVCU Turtles at least) in 1990. Either date works for the TVCU, though I’ve chosen the later date so as to provide a bit more evidence that Leonardo did not die at Atomic Robo’s hands. 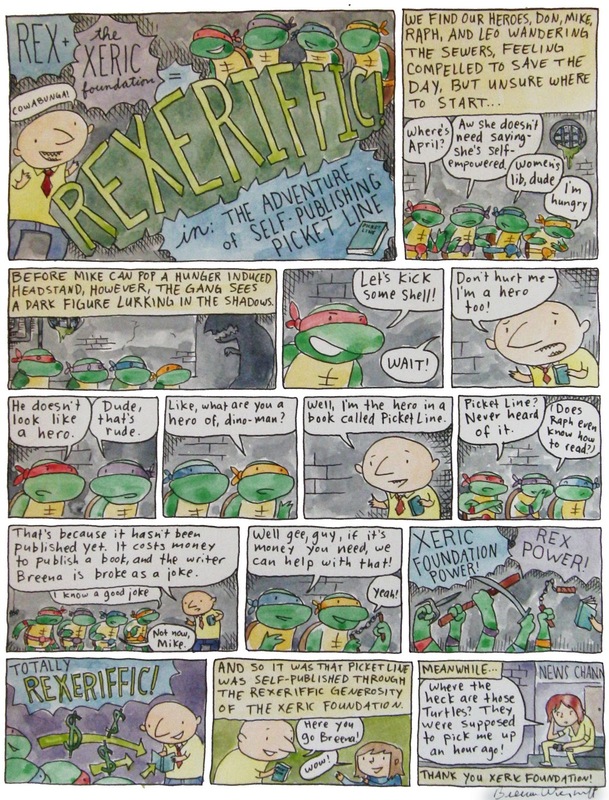 Rex, a honest businessman from Wiederhoeft’s graphic novel Picket Line, explores the sewers to find the Ninja Turtles; upon meeting them, everyone decides to go out for pizza. You can visit Wiederhoeft’s website, and buy her book, HERE. Did I miss something? 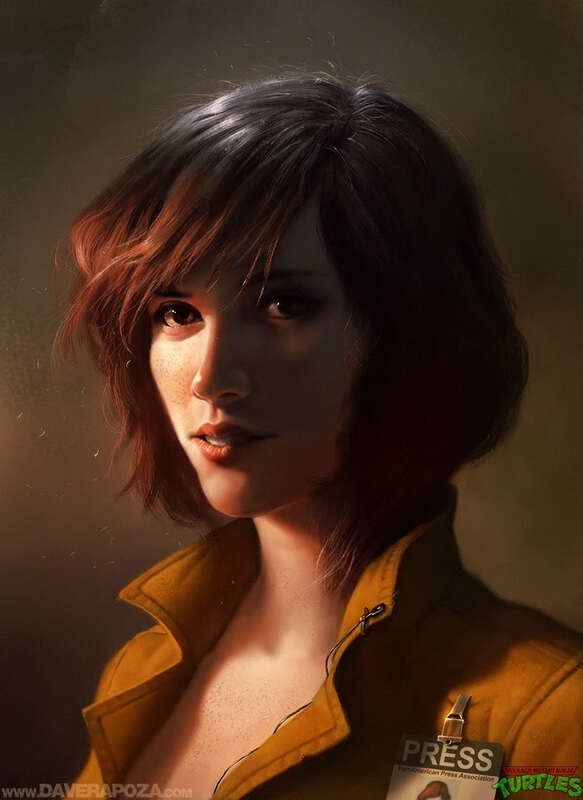 Do you just want to discuss shared universes in general? Feel free to join the discussion at our Facebook group! I am currently writing a book called the Cartoon Crossover Encyclopedia, that will be out in 2016 (estimated). If you liked this blog, you'll love the book. I will keep you all updated. -- Robert E. Wronski, Jr.
On the other hand, you need to be extra careful of the message that you are conveying to kids in the form of books or by any other method. Even parents who buy these books for their kids are quite choosy about what they want their kids to learn.